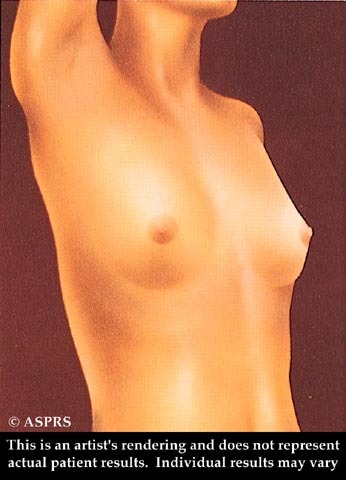 Breast Augmentation, also called “Augmentation Mammaplasty” is a procedure designed to enhance the size and improve the shape of a woman’s breast. Many women report an increased sense of confidence as a result of the added volume and youthful contours that result from this procedure. Woman who have small or asymmetric breasts due to genetics can achieve enhanced volume and natural-looking results with breast augmentation. Many women describe a desire for breasts that are proportionate in size to their other body measurements and the implant they select is chosen with a natural looking and unoperated appearance in mind. The breast implant may be inserted directly under breast tissue or beneath the chest wall muscle. A consultation appointment includes an analysis of your health history, including any medications you are currently taking, and a discussion regarding how your aesthetic desires can be achieved through this surgical procedure. Please have all of this information with you when you come to your appointment. Based upon your medical history and aesthetic desires, Dr. Knowling will discuss the best surgical techniques that will provide you with the results you desire and answer any questions you may have. Dr. Knowling will review in detail all of the information you need to know prior to surgery. Generally, patients should avoid smoking and taking anti-inflammatory medication (e.g., aspirin and ibuprofen) for at least three weeks before surgery. Some vitamins and supplements may also cause problems during or after surgery, so it is best to avoid them. Inform Dr. Knowling of any supplement or homeopathic medications you are taking. Be sure to arrange for someone to drive you home and be with you for the first 24 hours and readily available during the first 48 hours after your procedure. Breast augmentation is typically performed with patients under general anesthesia and takes about two hours to complete. Based on the techniques agreed upon during your consultation, Dr. Knowling will place the implants either above or below the pectoral muscle. He most commonly utilizes the breast crease incision and uses dissolving sutures, however each procedure is personalized to take into account a patients’ exam and concerns. After surgery, you will be advised to wear a support bra to aid with swelling and to aid in comfort. Swelling will typically subside after about three weeks but may last as long as a few months. For the first few days after surgery you will need to get plenty of rest and avoid strenuous physical activity. Most patients are able to return to work within one week and resume regular exercise after about four weeks. Dr. Knowling will give you more detailed information about what you can expect during your recovery. A. The best candidates for breast augmentation desire an increase in size of their breasts within the context of proportion to other body measurements. Most were either born with naturally small breasts or suffered deflation due to pregnancy, weight loss, or aging. Patients who have excessively sagging breasts may be better candidates for a breast lift or a breast lift with an augmentation. Ideal patients are also in good physical health and do not smoke. A. There are many implant choices available. You have the opportunity to choose between round or teardrop, textured or smooth, silicone or saline, high or moderate profile, and a range of sizes. Dr. Knowling will recommend the best implant for you based on your physical anatomy and aesthetic goals for the procedure. A. Breast implants are not considered lifetime devices and may need to be replaced at some point after the original surgery. However, Dr. Knowling does not recommend replacement unless an issue arises. On average, most woman have their implants replaced between ten and fifteen years after they are first inserted. Q. Are there any issues specific to these implants? A. The FDA has recommended that woman who chose augmentation with silicone devices should have an MRI at three years post operatively and every two years thereafter to assess a silicone device for rupture which may not be detectable using convention mammography or ultrasound. This screening study may not be considered a covered procedure by your insurance carrier. A. As with any surgery, there is a risk of developing complications after breast augmentation. Although rare, the most common complication is capsular contracture. This is a tightening of tissue around the implants. Other complications include implant rupture, asymmetry, and visible implant rippling. 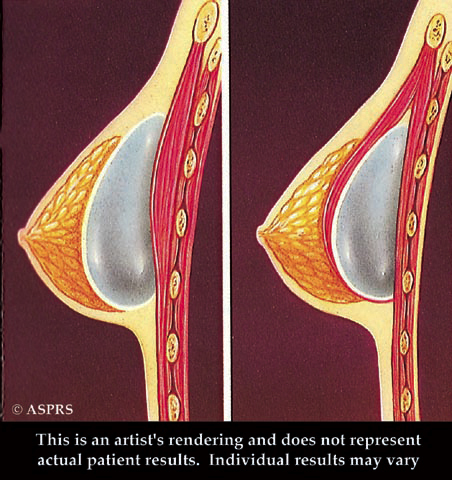 Breast revision surgery can correct complications should they occur. Have additional questions about breast augmentation? Please call to schedule a consultation or email our office at RobertKnowling@comcast.net. We will be happy to schedule an appointment for you with Dr. Knowling to discuss your cosmetic surgery options. Have additional questions about the Breast Augmentation procedure? Schedule a Consultation with Dr. Knowling for further information.